07 Feb 2019 --- Analysis of combined data from several Japanese genetic studies has discovered 28 new genomic regions related to Type 2 diabetes, some of which are not found in other ethnicities. The study analyzed data from over 36,000 Type 2 diabetes patients and 150,000 controls of Japanese ancestry. 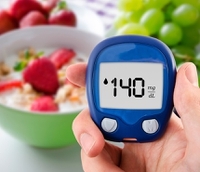 The results imply that there is a genetic link between Type 2 diabetes and the Japanese. The researchers hope to develop Asian-specific methods to prevent and treat this type of diabetes. Published in Nature Genetics, the study is the joint effort of the University of Tokyo, Osaka University, the Japanese research institute RIKEN, among others. Click to EnlargeProfessor Yukinori Okada“We incorporated the data on links between Type 2 diabetes and over 12 million variants across the whole genome from four different genome-wide association studies in the Japanese population,” says Professor Yukinori Okada from the Department of Statistical Genetics at Osaka University. “We found 88 genomic regions significantly associated with this disease, including 28 new ones, some of which are not found in European populations in previous reports,” he adds. The researchers examined the identified genes in more detail, along with the effects of mutations on them and the proteins they encode. They looked into the associated pathways and cells as well. Examples of genetic factors linked to Type 2 diabetes include mutations in the GLP1R, – a glucagon-like peptide-1 receptor found on beta cells of the pancreas – involved in glucose-dependent insulin secretion, and in the genes CPA1 and GP2, known to help certain pancreatic cells transform into insulin-producing beta cells. Although the mutant forms of these genes were linked to Type 2 diabetes in this study, these mutations actually do not exist or are extremely rare in previous reports on European populations. 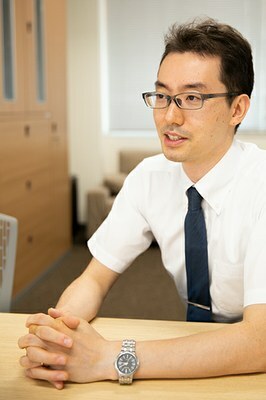 “Our findings indicate that some of the genetic underpinnings and molecular pathways of Type 2 diabetes in the Japanese population may differ from those in European populations, which is unsurprising considering that, when comparing individuals of the same body mass index, Japanese are more prone to this disease,” notes lead author Ken Suzuki. “Our work could lead to Japanese- or Asian-specific therapeutic measures being developed to more effectively prevent or treat diabetes in this ethnic group,” he concludes. The researchers used a method called meta-analysis, which combines data from several independent studies, in order to increase the amount of available data and subsequently the statistical significance. Since most studies on Type 2 were conducted on individuals of European descent, the findings often did not benefit other ethnic groups. This study proves the importance of focusing on genetic and ethnic variants, according to the researchers and proposes a new approach that might offer new findings, unearthed by constitutive studies.